St. Michael’s Hospital in Toronto, Ontario is a teaching and research hospital renowned for providing exceptional patient care. 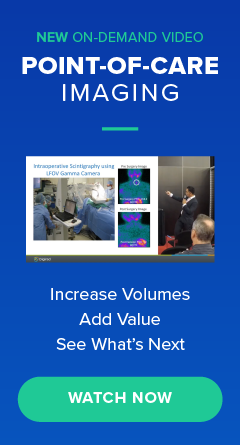 The hospital’s Digirad Ergo Imaging System recently gained attention for its use in multi-gated acquisition scans (MUGA) combined with First Pass scans to assess both right and left ventricular function. The Ergo, a single-head gamma camera, performs the noninvasive diagnostic test that evaluates the percentage of blood pumped through the lower chambers of the heart. Because the First Pass and stress MUGA scans offer sensitivity as well as improved specificity to myocardial perfusion imaging, the study is an important offering that effectively measures wall motion when a patient’s heart rate is at its fastest. First Pass scans can lead to higher quality images, fewer artifacts, and higher diagnostic confidence. The Ergo’s large field of view, portability, and clinical versatility were factors that weighed in the hospital’s purchasing decision. The ability for the camera’s head to be positioned closer to the patient, and the arm’s unique swing feature, which allows the technologist to image a variety of angles of the heart, made the Ergo an advantageous choice. In addition to First Pass, St Michael’s also uses the Ergo for general nuclear imaging, including gastric emptying, renal, parathyroid, and even lung scans. Because of its flexibility, the camera serves as a fallback option so they can offload any acute work when their primary SPECT camera experiences downtime for repair or maintenance. By adding an Ergo to their imaging portfolio, the team of radiologists and cardiologists at St. Michael’s have access to a solid-state, portable, and high-quality imager that allows for unmatched utility. 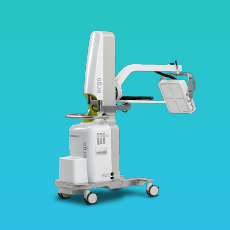 For more information on the Digirad Ergo Imaging System, click here.